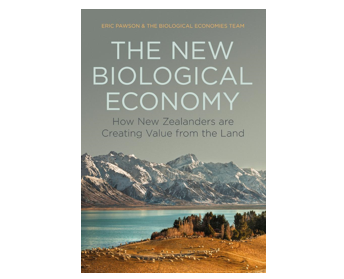 A new book by Emeritus Professor Eric Pawson takes readers out on to farms, orchards and vineyards, and inside the offices and factories of processors and exporters, to show how New Zealanders are building The New Biological Economy. Which subject is Eric Pawson an Emeritus Professor of? The winner will be notified by email and announced in the 28 October edition of our Insider’s Guide newsletter.